The Monk is arguably my most popular piece. I am still pleased with it after seventeen years. The concept, composition, and craftsmanship still surprise me. I styled and shot the photos used to capture the pose by dressing my friend in a bed sheet. The hands are my own and the face is meant to be an androgynous blend between Mary and Jesus. A nod to the bilingual language of human sexuality and a better balancing of our feminine and masculine natures. The pose is a welcoming gesture, but also a surrender. Giving in to the immense unknown and being still within its overwhelming terror. To watch the mind race between extremes trying to keep our creature alive as it ponders the cosmos and future. 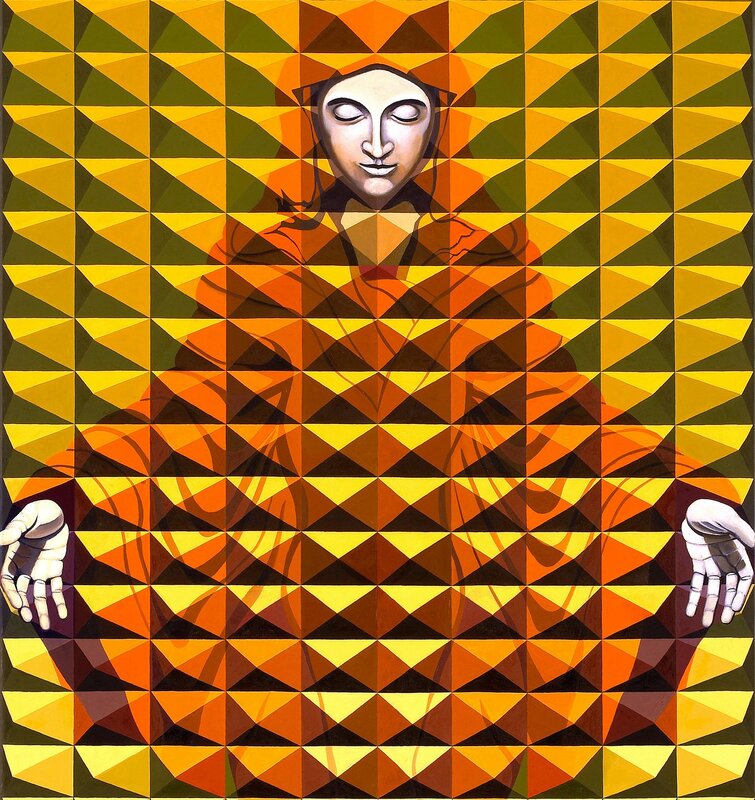 The use of vibrating repetitive geometry was also a nod to eastern meditation’s ability to calm the mind. 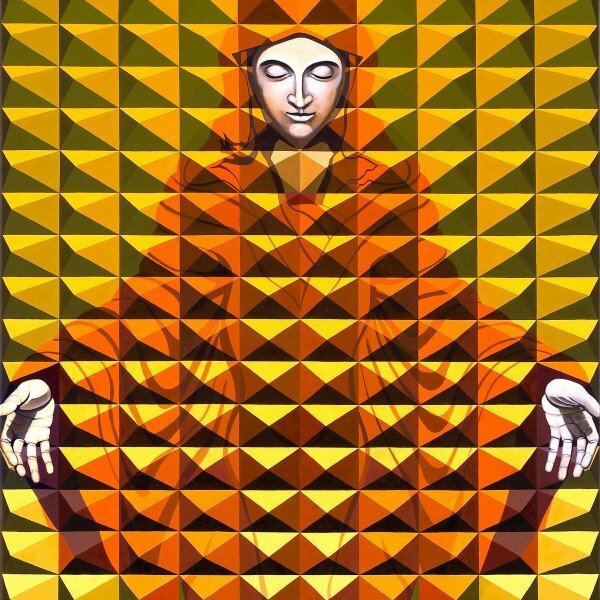 I have attempted to show that we are energetic beings consciously connected to the full spectrum of reality if we chose to simply acknowledge it. The monk is meditating on acceptance of the moment by moment “what is” and holding an energetic cross suspended between its hands. Original painting is 32″ x 46″. Oil on Canvas.